Daily prayer, conversation, faith sharing, chores, meals, recreation, and care for each other are the building blocks for life in a local household of friars. The joys, struggles, and the lessons of fraternal living are often the foundation of humility and conversion of heart, virtues which are meant to keep Franciscan ministry authentic. 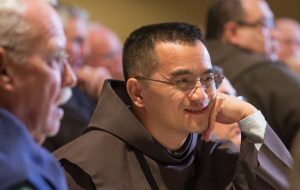 In the end, Franciscans strive to model a fraternity-in-mission, which encourages all people to be open to the possibility of relationship where there has been no relationship before; to nurture peace in places of distrust and violence; to affirm the value of cultural diversity, shared leadership, and the creative expression of the love of Jesus Christ.